The Cessna Grand Caravan EX is capable of performing life-critical missions in remote locations, flying in adverse environments and operating on unimproved airstrips. Its high-wing design allows for a stable platform to provide in-flight critical care. From basic non-critical transport to neonatal care, the Grand Caravan EX can provide the right response. 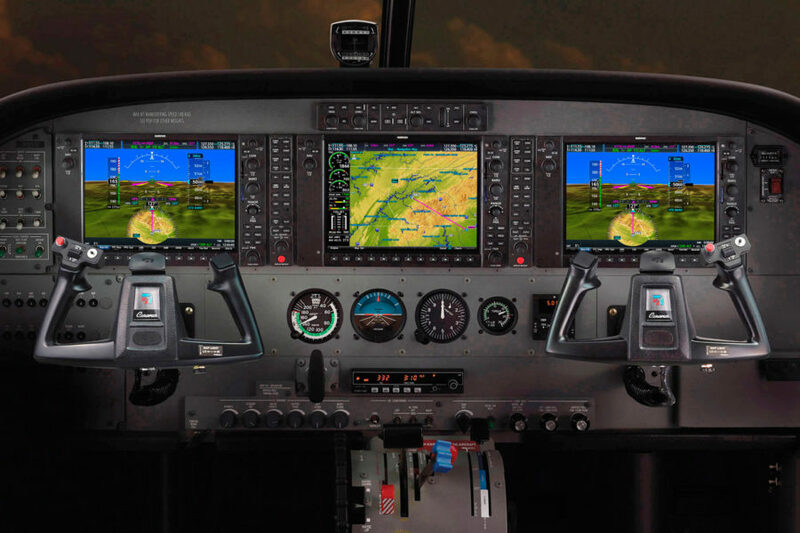 Adding floats to your Cessna Grand Caravan EX brings new meaning to the word versatility. Amphibious and dedicated sea plane floats open up a whole new range of possibilities and give you access to areas where an airstrip just isn’t an option. The Cessna® Grand Caravan® EX is the ideal aircraft for parachute operations with the ability to operate out of rural airports and carry up to 20 jumpers with bench style seating. The available roll up cabin door opens easily in-flight and creates an obstruction free opening for jumping. For commercial and military operations alike, the Caravan excels. Give student pilots a new level of preparedness with the Cessna® Grand Caravan® EX. With a large cabin and optional cargo pod, training in the Grand Caravan EX allows the student to experience firsthand the flight characteristics of a cargo aircraft. This is possible while maintaining cost effectiveness of a training aircraft with the powerful and ultra-dependable PT6A-140 turbine engine. Combine added payload and increased horsepower with legendary reliability, and you get the Cessna Grand Caravan EX, a uniquely capable special mission aircraft. Mount advanced sensors and imaging systems to either single or dual camera hole installations covering a range of survey missions. You’ll be able to access more sites from unimproved runways and stay ahead of the competition with turboprop performance and single-engine efficiency. The Cessna Grand Caravan EX was engineered to excel in many roles, with high payload capability and single-engine simplicity. The easily reconfigurable cabin allows for an array of mission equipment that can be quickly installed and removed using the existing seat tracks. Multiple missions, one aircraft, the Grand Caravan EX does it all. You have the freedom to configure the Cessna® Grand Caravan® EX to meet the specific demands of your surveillance mission. External mounting provisions allow for use of advanced electro optical/infrared (EO/IR) systems that transmit imaging to cabin mission computers and available cockpit repeaters. Intelligence is shared in real time via tactical radio and satellite downlink.